Human Trafficking is against the law and a serious violation of human rights. In the Protocol to Prevent, Suppress and Punish Trafficking in persons, it is defined as a form of recruitment and harbor of people by means of threat, force and deception. Traffickers abuse their power and position against the vulnerability of another person for the purpose of exploitation. At a minimum, exploitation may be in the form of prostitution, forced labor or the removal of organs. Whatever it is one thing is common among all human trafficking victims – they lose their freedom. In the United States, the most common form of human trafficking is prostitution. It often occurs online, in residential brothels, in the street or in businesses or spas that secretly function as brothels. Labor trafficking, on the other hand, is prevalent in domestic servitude situations. It is common in large farms, restaurants and carnivals. High Profits and Low Risk. Human trafficking is a market-driven criminal industry that is defined by the principles of demand and supply. Traffickers are earning millions and billions of dollars annually by exploiting other people. They prey their victims with promises of money, improved lifestyle, support for family, education and escape from war. Victims of human trafficking have no limits. They can be men or women, adult or children, local residents or foreign nationals. But women and children are the key target group of most traffickers because they have limited economic resources and are mostly in need. Traffickers take advantage of people from impoverished and low income households. They like preying on young girls that run away from home and people with low levels of education. Traffickers always look for victims that they can take advantage of and seduce with their false promises. Traffickers ensnare their victims into forced labor, prostitution and other forms of exploitation through manipulation and threats. They often use force, lies and other psychological coercion to recruit and exploit their victims. In some cases, they even kidnap their victims and use physical violence to control them. Unfortunately, traffickers often share the same ethnicity, cultural background and nationality with their victims. They use this to their advantage because it can help them better understand the vulnerabilities of their victims. The type of traffickers may range from individuals to extensive criminal networks. They can be pimps, family members, small business owners, gangs and so forth. The common thread among traffickers is that they are willing to exploit other people for their profit. Obesity is a serious issue in the United States and other countries today. Some say that it’s a lifestyle disease but it can also be a result of other illnesses such as diabetes and thyroid gland disease. Anyone can be a victim of this condition – old, young and even children. It poses great danger not only to an individual’s physical health but also to his or her psychological state. 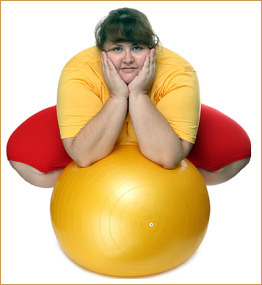 People who are obese experience many difficulties in their daily lives. They may suffer from difficulty in breathing, develop heart disease and emotional challenges such as bullying. So how can you overcome obesity today? Read on and find out. Time and again, you may read and hear how important regular exercise is to your overall well-being. Health experts and diet gurus all agree to its efficiency. It helps burn calories and extra fat in your body. Doing exercise at least three to four times a week can help keep you healthy. It can be as simple as walking around your neighborhood or jogging. You may also do sports like swimming, playing tennis or cycling. Whatever it is, keep in mind that your body needs exercise. It releases endorphins that improve your mood and makes you sweat to flush out the toxins. Additionally, exercise will distress your mind and body; stress can cause serious illnesses; disease is a “dis-ease” happening in your body. Watch your diet because what you put in your body really matters! Make sure to eat lots of fresh vegetables and fruits. Cucumber and green leafy vegetables are great to include in meals as it contains very little calories and is good for the digestive system because it has a lot of water. You don’t have to completely cut off meat from your diet. You can replace it with fish or a portion of skinless chicken. Also, avoid eating junk food, instead replace it with nuts and other low carb snacks that won’t affect your blood sugar and put on weight. Keeping your weight in check is one way to prevent obesity. Knowing how much you weigh will keep you motivated to reach your weight goal. It will keep you informed about your progress and you will know how close you are to getting your ideal weight. There are innumerable weight cutting diets out there, each having its own promise of giving you a glorious body in just a few short weeks. However, those aren’t really good for you. So instead of following those diet plans, go for a program that’s based on vegetables, low fat meat, olive oil, coconut oil, exercise and lots of clear liquids. There is no shortcut to health so avoid crash dieting. It may help you lose weight at the beginning but as time goes by, you’ll notice your body weakening because you’re already losing essential nutrients. It’s vital to feed your cells, don’t starve them. Starving your cells will pack on the weight you don’t want or need! Don’t’ think about what you can’t have or are missing….think about a lifestyle change to get healthy. Your motto should be to “eat to live not live to eat”. Focus on your health, and the benefits you will gain by changing bad habits to good ones. Whenever you fail, don’t beat yourself up over it, just start again and keep a positive attitude; do better tomorrow! Think about how long it took you to get this way, it started maybe years ago from poor eating habits and lack of taking care of yourself. Making a lifestyle change doesn’t happen over night, so be patient, give yourself the time you need to make the change but try everyday to do something better for yourself. Kathleen will be giving an inspirational testimony at the Fresno County Office of Education’s Annual conference. This is VERY exciting! If you work for FCOE and are planning on attending this event, make sure to catch Kathleen’s motivational talk! Kathleen will be speaking at the United Methodist Women’s Fellowship in Riverdale at 6:00 pm. Come out and hear what Kathleen has to say about her survival and triumph over abuse. She will talk about how her survival led to the start of Restoration Life Foundation, a non-profit organization that helps women and girls who suffer from the emotional trauma from sexual abuse. If you would like to share your story, please send an email to info@restorationlifefoundation.org; it will remain completely anonymous if you choose. The more stories people share, the more people who are ashamed and afraid are willing to talk about their fear, which is a key function to the beginning of restoration. Share your story, and help save lives. Kathleen will be speaking at the Fresno Women’s Chamber of Commerce luncheon, held at National University in Fresno, CA from 11:30-1:30pm. You WON’T want to miss this!! Kathleen Frank will be speaking at the Clovis Chamber of Commerce Women’s Dinner at Andiamo’s in Clovis, CA. Dinner is from 5:30-7:30.